In this talk, George makes the case that we do need new leaders, not just new laws, to bring us out of the corporate crisis. He persuasively demonstrates that authentic leaders of mission-driven companies will create far greater shareholder value than financially oriented companies. Bill presents a tested guide for character-based leaders and all those who have a stake in the integrity and success of our corporations. Bill George talks about his personal views in this interesting capitalism speech. George explains that he is a believer in capitalism, and has no problem with outsourcing jobs. In fact, the idea of working with experts from all over the world excites him. 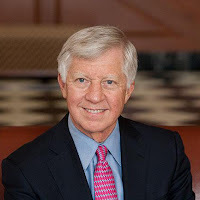 Bill George is senior fellow at Harvard Business School, where he has taught leadership since 2004. 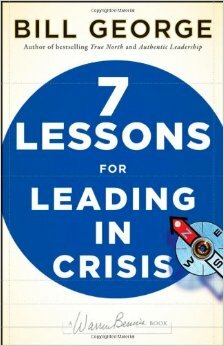 He is the author of four best-selling books: 7 Lessons for Leading in Crisis, True North, Finding Your True North, and Authentic Leadership, as well True North Groups. His newest book, Discover Your True North, was published in August of 2015 along with its companion workbook, The Discover Your True North Fieldbook. Mr. George currently serves as a director of Goldman Sachs, The Mayo Clinic, and Minnesota’s Destination Medical Center Corporation. He has served recently on the boards of ExxonMobil, Novartis, and Target Corporation. He is currently a trustee of World Economic Forum USA, and has served as board chair for Allina Health System, Abbott-Northwestern Hospital, United Way of the Greater Twin Cities, and Advamed.